For the present-day Ivanpah, see Ivanpah, California. 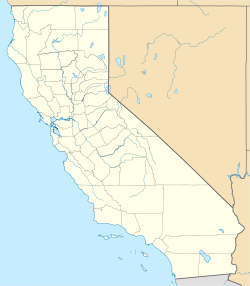 Ivanpah (sometimes referred to as Ivanpah I) was a short-lived silver mining town located in San Bernardino County, California, United States. It was founded in 1869 and existed until at least the mid-1880s. 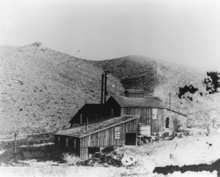 While searching for copper, the Piute Company of California and Nevada in 1869 found rich deposits of silver ore on the lower slopes of what was soon named Clark Mountain, west of the Nevada line. The company laid out a townsite at Willow Spring, near a wash on the southeast slope, about nine miles east of the discoveries. The settlement was named Ivanpah, which, roughly translated from a Native American language (probably one of the Numic languages), means “clear water”. "Ivanpah Springs". Geographic Names Information System. United States Geological Survey.